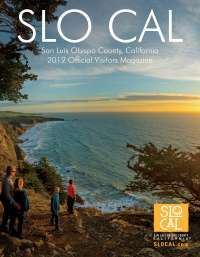 San Luis Obispo County, April 27, 2017 â€“ The 2017 Amgen Tour of California, Americaâ€™s most prestigious annual cycling event, will feature San Luis Obispo County for the fourth straight year. Offering a top-notch field of menâ€™s professional teams in 2017, cyclists will race along one of the most scenic regions in California, beginning Stage 3 in Pismo Beach, riding through the heart of San Luis Obispo County (SLO CAL), and ending in Morro Bay. The 12th annual Amgen Tour of California is a seven-stage race covering nearly 800 miles of California terrain May 11-20, 2017. This yearâ€™s event will include 17 of the worldâ€™s most decorated and esteemed teams with many of the top cyclists in the world, competing for one of the sportâ€™s most coveted titles. Stage 3 kicks off Tuesday, May 16, 2017, in Pismo Beach along the beautiful Pacific coastline. The Amgen Tour of California riders will take in all that SLO CAL has to offer with beaches, sand dunes, vineyards and wineries along the way. The 113.7-mile course will sweep across Nipomo, Arroyo Grande and San Luis Obispo before riders head back to the coast and a finish in Morro Bay. The City of Morro Bay will be holding their Community Bike Ride on Monday, May 15. Biking enthusiasts are encouraged to meet in City Park at 6:00 p.m., and the ride will follow the Amgen Tour of California route through Morro Bay from the state park to the Embarcadero, and on to the finish line. On race day, May 16, restaurants and bars throughout Morro Bay will host viewing parties. â€œWe are excited about being the Stage 3 Race Finish this year and look forward to the community coming together to once again welcome the cycling world to Morro Bayâ€ said Ikani Taumoepeau, Morro Bay Deputy City Manager. For more information on cycling events in SLO CAL, the region, or to book your stay during the Amgen Tour of California, visit www.SLOCAL.com. A true gem, Morro Bay is a seaside fishing village with a bustling waterfront offering a picture perfect getaway for travelers seeking outdoor coastal adventures, great food, shopping and libations in a unique setting. The most visible landmark is the 576-foot Morro Rock sitting majestic between miles of unspoiled beaches to the north and the boat filled harbor to the south. Recently recognized as her home in Finding Dory, Morro Bay is recognized as a Bicycle Friendly Community by the League of American Bicyclists and outdoor recreation and activities are a way of life. For more information, visit www.morrobay.org. The Classic California beach town of Pismo Beach is located on California&apos;s famous Central Coast, halfway between San Francisco and Los Angeles along Pacific Coast Highway and CA-Highway 101. Overlooking more than 26 miles of pristine Pacific coastline, enjoy Pismo Beach&apos;s great weather, plethora of outdoor activities, rich wild life and nature preserves, seaport inspired cuisine and fresh farmland produce, downtown wine tasting rooms, and neighboring world class wine producing regions of the Edna Valley, Arroyo Grande Valley, Avila Valley, Paso Robles, Santa Maria Valley and Sta. Rita Hills. Pismo Beach offers the perfect pairing of Wine & Waves with a truly â€œClassic Californiaâ€ experience. Pismo Beach is also noted for being one of the most dog-friendly towns in America. See our wide variety of lodging choices accommodating every budget and lifestyle, by visiting www.ClassicCalifornia.com. The Amgen Tour of California is a Tour de France-style cycling road race created and presented by AEG that challenges the world&apos;s top professional cycling teams to compete along a demanding course that traverses hundreds of miles of California&apos;s iconic highways, byways and coastlines each spring. The teams chosen to participate have included Olympic medalists, Tour de France contenders and World Champions. Amgen Tour of California is listed on the international professional cycling calendar (2 HC, meaning "beyond category"), awarding important, world-ranking points to the top finishers. More information is available at amgentourofcalifornia.com.